Many stock options to choose from. 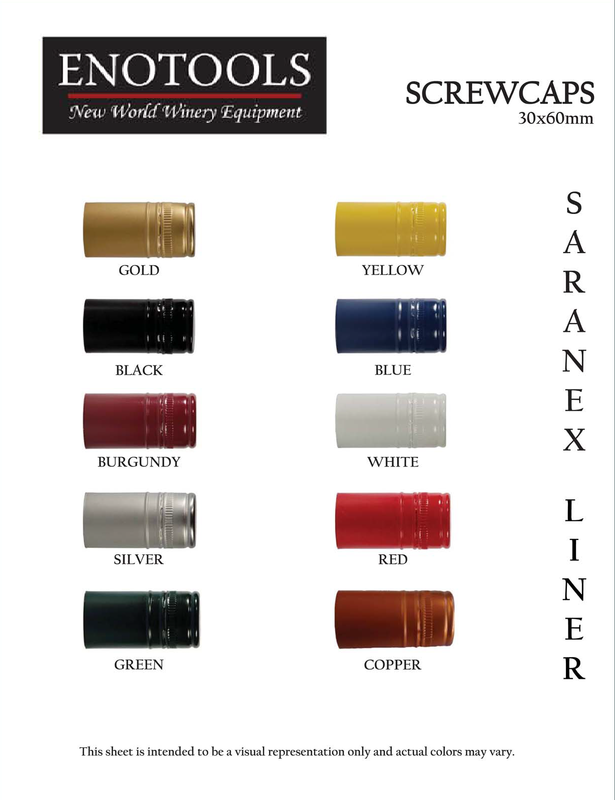 And don't hesitate to ask us about custom screw caps in higher volumes. Since 1932, family- owned A.C. Relvas has been manufacturing products for beverage packaging. Enotools is proud to offer Relvin screw caps to you as a newer option from an older company. 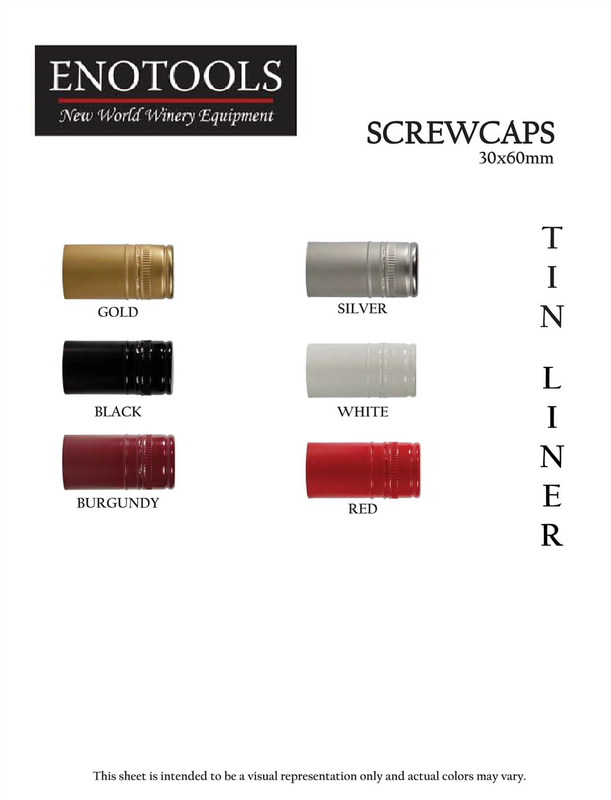 Relvin screw caps are available for your custom package. No color too unique. No quantity is too large. the "request a quote" button above. Enotools offers stock screw caps in two types shown below.